First sherry in a week so I thought I deserved something a little bit special and this is special. 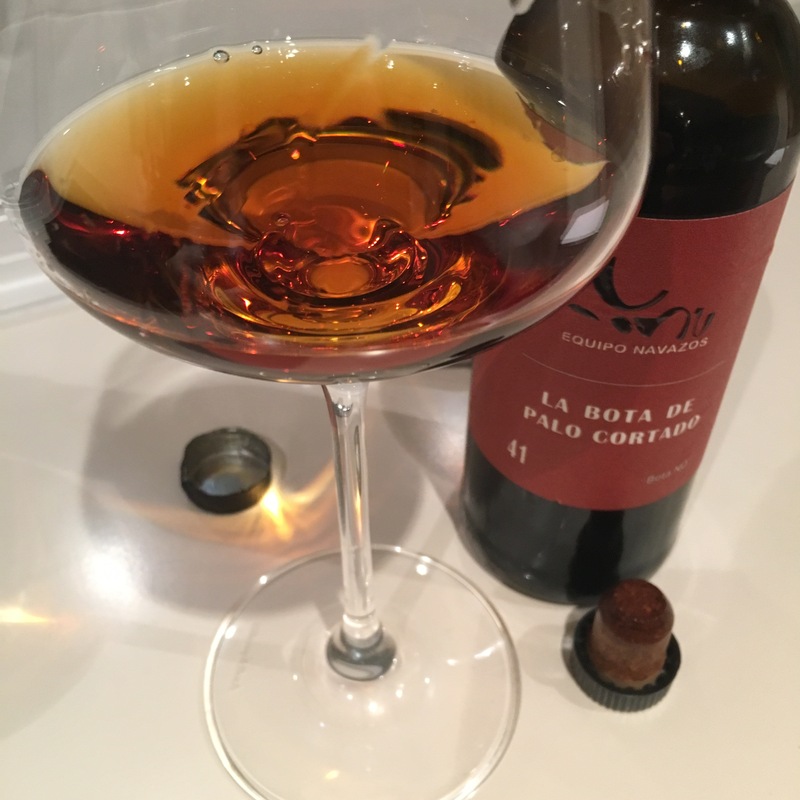 It is a Sanlucar palo cortado from the now extinct bodega of Gaspar Florido – initially acquired by Pedro Romero before Pedro Romero itself collapsed in tragic circumstances in 2014. This was bottled in February 2013 and I refer you to the excellent Equipo Navazos website for an account of that and their explanation of what it is all about. In colour it is a gorgeous crystal clear, sparkling, rich chestnut. (Whatever else may be true I find it hard to believe there are more visually appealing wines than these.) On the nose it starts with the dry salty, woody air of the cellar, but maybe not the full ozone of a Sanlucar amontillado. Then give it a swirl and there are rich nutty, spicey and slightly black treacle flavours underneath. Then on the palate it is stickier and broader than the sleek nose leads you to expect. The same saline power but heavier, black treacle and bitter burnt wood flavours take over, a suggestion of smoked meats on the aftertaste and then flavours fading to a tails of burnt black treacle, with a moody bitterness but also a higher register sweetness. The salinity of these wines gives them incredible length and those the flavours stay with you right to the end.